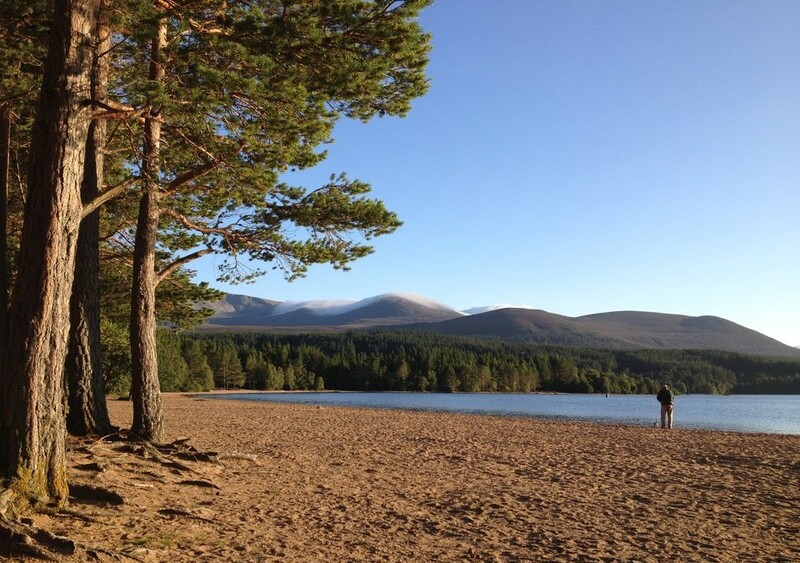 Loch Morlich is probably the best known loch in the Cairngorms National Park. It doesn’t just boast a sandy beach; the views from its shores are (almost) second to none. But you can’t just enjoy the magnificent views – plenty of opportunities to be active. Be it walking, biking, kayaking or canoeing, there is something for everyone. 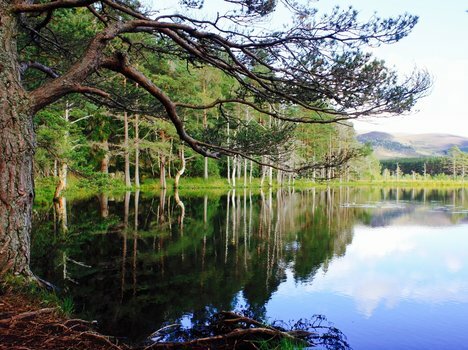 This loch lies at the heart of Rothiemurchus Estate and was awarded the ‘best picnic spot in the UK’ accolade a few years ago – we believe, rightly so. The name means translated ‘Loch of the island’ which refers to a small island with a ruined castle in the middle of the loch. 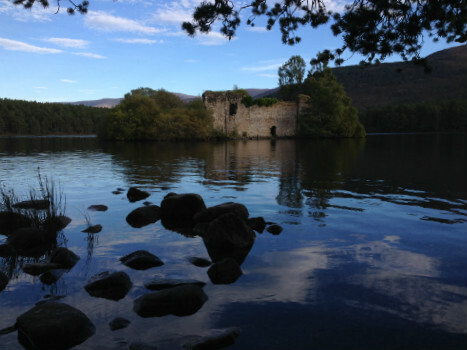 The castle is said to have once been the property of Alexander Stewart the Wolf of Badenoch. The Jacobites, retreating from Cromdale in 1690, besieged the castle, which was held by Dame Grizel Mor Grant, widow of the fifth laird Grant. At this time the castle was connected to the shore by a causeway. The causeway became submerged when the water level in the loch was raised in the 18th century. 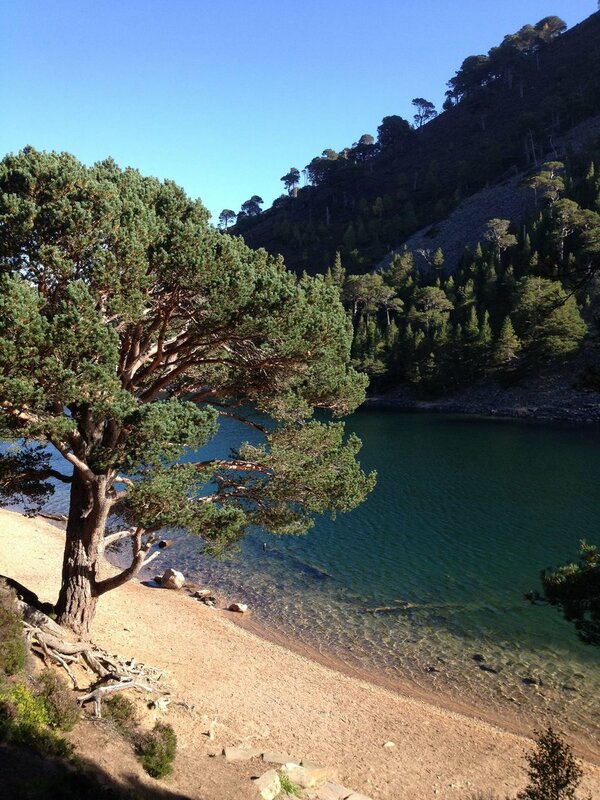 This group of four small lochs set amidst the wild scenery and pines of Glen Feshie is a real hidden gem. From the carpark area, there are several walks which helps you to explore the stunning scenery. We recommend the walk up to Farleitter Crag, which is worth the effort for the amazing views. Loch A’an, Loch A’an, hoo deep ye lie! Tell nane yer depth and nane shall I.
Ye’ll haunt me till the day I dee. Ye’ll haunt me noo for evermair. 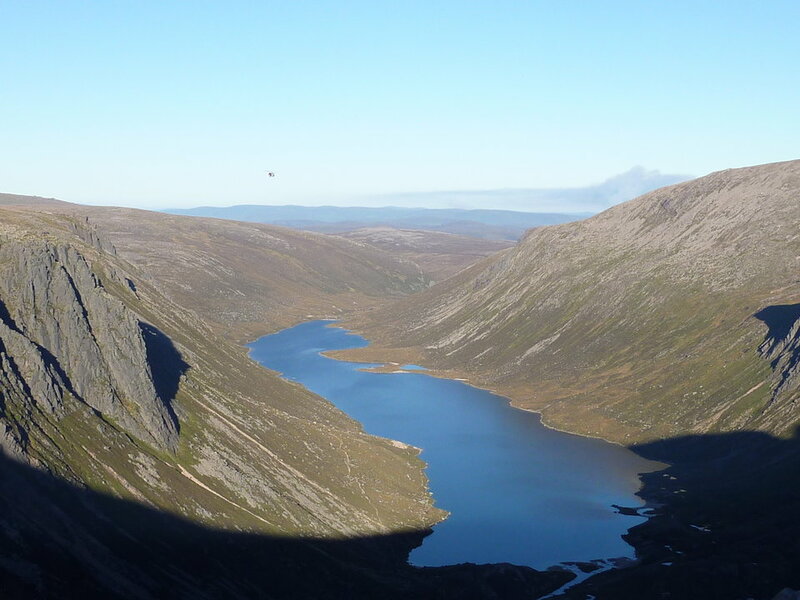 This poem by Cairngorms wanderer and writer, Nan Shepherd, describes the remote beauty of Loch Avon (also Loch A’an). The loch is bounded on three sides by precipitous mountains, cliffs and crags, with the south east opening out to provide an outflow for the river through Glen Avon. It can be best admired on a walk from the Northern Corries across the plateau – join our ‘The Living Mountain’ day out when we explore Nan Shepherd’s work and follow in her footsteps. Legend has it that the lochan has its deep green colour because fairies wash their clothes in its water. We could also ‘blame’ some algae for this extraordinary colour, but that wouldn’t be half as much fun! You can discover this body of water on a gentle walk from Glenmore and no matter what time of the year, it is sure to impress.